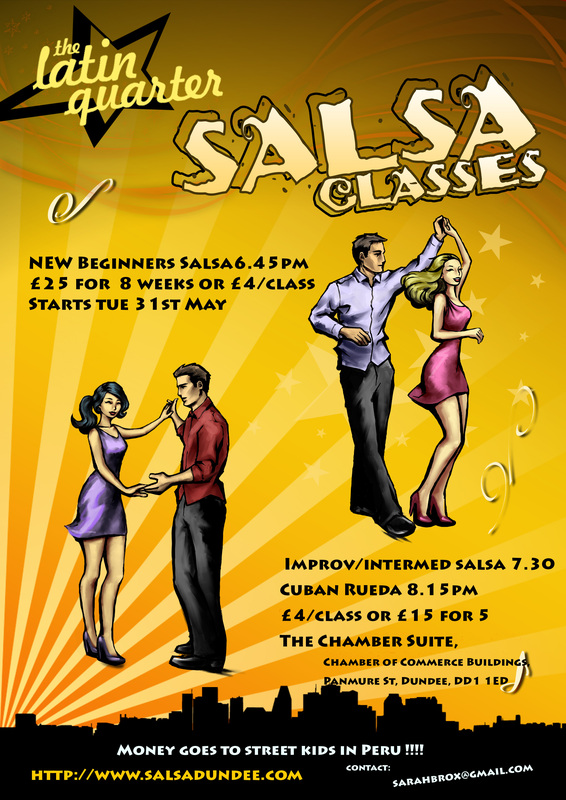 NEXT TUE is the last week to join the NEW Beginners course in Cross body style Salsa at The Chamber Suite on Tuesdays at 6.45pm. Full course is 7 weeks now for £22, to be paid in full on first week, or £4 per class. Classes at The Chamber Suite, Panmure St. DD1 1ED 6.45pm -7.30pm, come 10 min early for first week to register & pay for classes, all money goes to Azul Wasi Street childrens project in Peru. Email sarahbrox@gmail.com for more details. Pop a poster up if you can help advertise.